We know that no two families are exactly alike. That’s why we begin the pool remodeling process with a conversation – to learn what you want in a pool, and how you use your backyard. 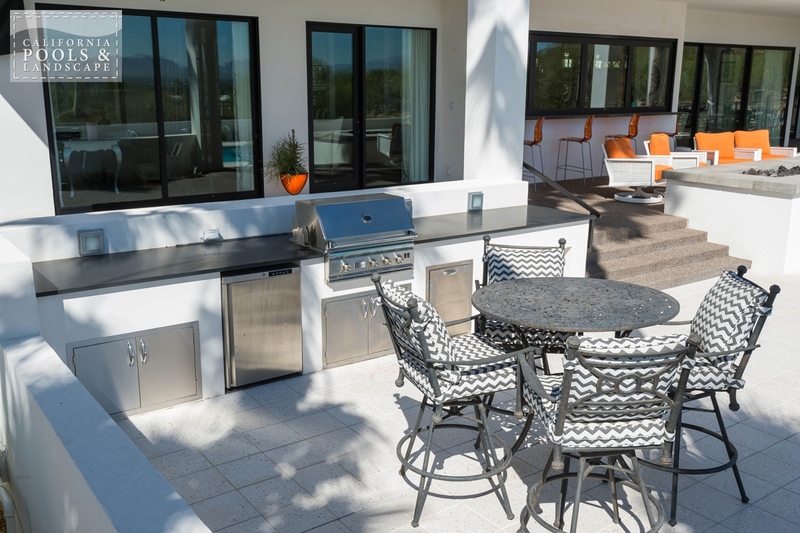 After we fully understand your needs, we provide clear and complete information on features, construction time and costs. Then, throughout the build, we keep you informed of the process, and we enforce the strictest safety standards to keep your family and our craftsmen safe. 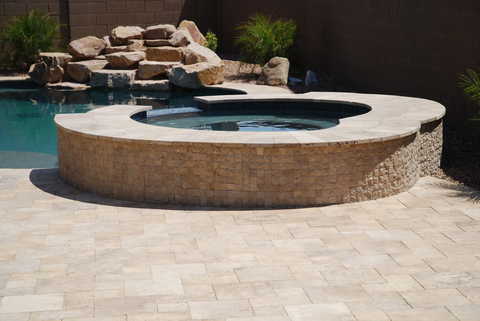 That’s why we are Arizona’s preferred swimming pool builder. 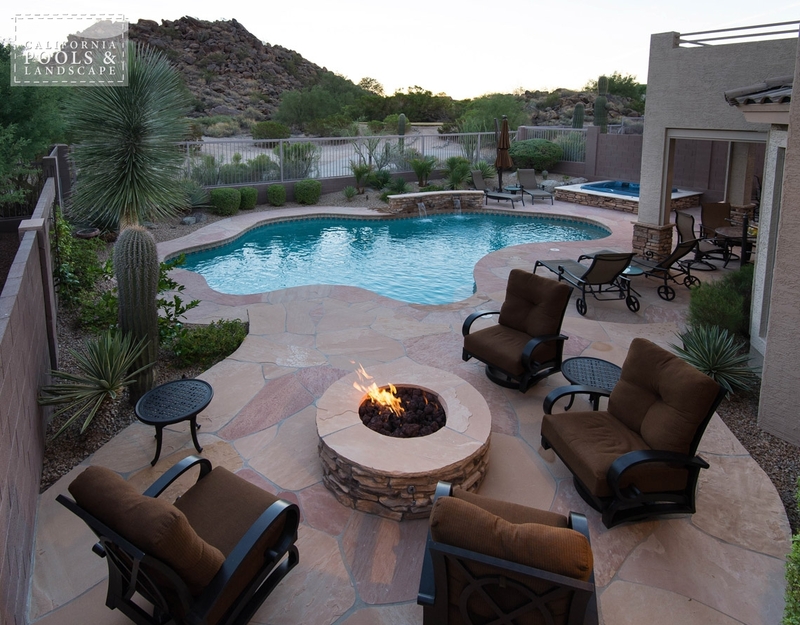 California Pools & Landscape has served the pool needs of Phoenix and surrounding Arizona cities for more than 27 years. With over 20,000 swimming pools and spas in the ground, it’s very possible we built your pool originally. We’ve worked hard to build our reputation as Arizona’s best pool builder and we’re not about to see that reputation tarnished. 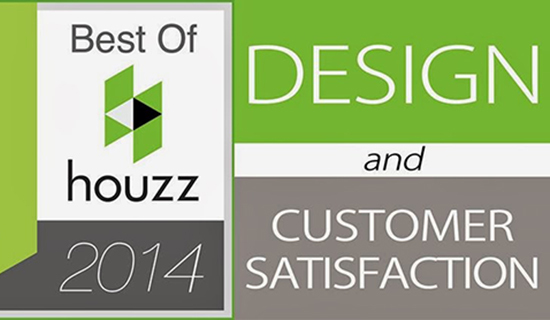 Whether we remodel your pool or your whole backyard, we put our reputation on the line. We keep our reputation strong by making sure you love everything about your California Pools makeover, every single time. If you love the feel of a beach, you can remodel your pool by adding a Baja step. A wide and shallow Baja step is the perfect place to lounge in the cool water. Families with smaller children love this renovation idea as well as a Baja step is great for little paddlers to splash about. 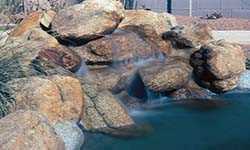 You could also remodel your pool by adding boulders to create an oasis feel or to blend with the desert environment. 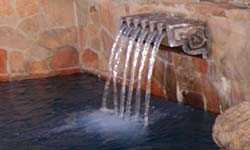 Or maybe you’ve always dreamed of having the soothing sound of trickling water. 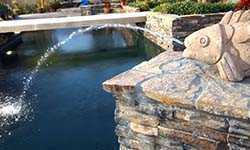 Adding a water feature is an excellent way to remodel your pool. 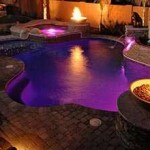 Lights can change the look and feel of your pool as well and you can use it more after the sun has set. 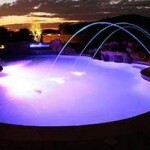 California Pools has many beautiful lighting ideas to help you in your pool makeover. 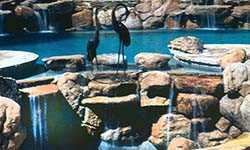 If your plaster is chipping and cracking, a wonderful way to renovate your pool can be by adding Seaglass Pebble™ or some of the other new finishes available. 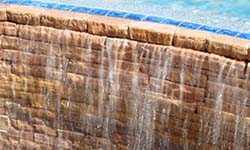 You can try new colors and surfaces for a complete makeover of your pool. 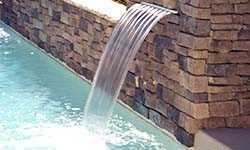 You can also remodel your pool by adding new tile around the waterline or within the pool itself. There are so many options and colors available! 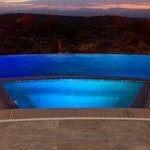 Let the team at California Pools help you choose something absolutely stunning. 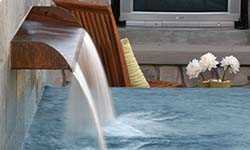 Or, maybe you would like to change the look of your pool by renovating the cool deck or even raising portions of it. 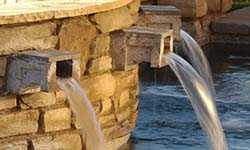 California Pools has plenty of remodeling materials including stone, brick, or manmade surfaces in a wide variety of colors and finishes. 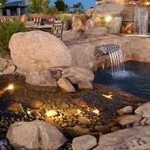 Another great renovation idea is adding a spa to your pool. A spa is a wonderful place to relax at the end of a long day or to gather with friends. 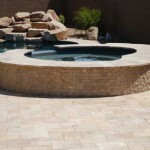 Perhaps you would like to extend the use of your pool even into the chilly months. 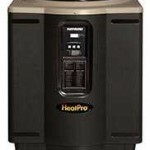 In that case, you should think about renovating your pool by adding a heater or a heat pump. Your pool is an investment, so why shouldn’t you be able to use it year round? 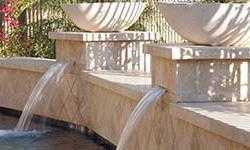 Pool plaster is a marble based mixx that has been used since the 1960s. The smooth, white plaster surface is a mixture of white cement and crushed marble for a hard and smooth finish. The overlay of clear water transforms the look of white plaster to a shimmering blue. 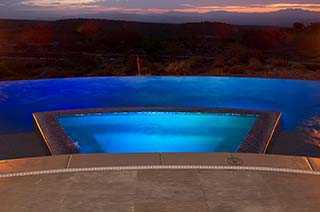 We had an amazing pool building experience with California Pools, from start to finish. Dave was our main contact, and explained the process thoroughly and completely when we came in to the office. He came out to the house just to confirm what we thought our measurements were. 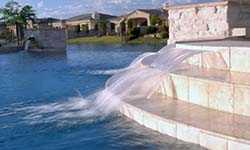 California Pools gave us a great and very competitive price, so with that and with the experience we had working with Dave, we chose to go with them. They were outstanding in every aspect – we got a phone call and email letting us know what each stage of the process was, and when it would be occurring. Each step was seamless and the crew was great. Our project was completed in about 6 weeks and we couldn’t be happier. I’d definitely recommend California Pool to anyone!